Why Do We Need Preventive Care? Periodontal disease starts with inflammation. Gum inflammation can cause the tissue to pull away from the teeth. Soon, pockets form at the gum line, exposing sensitive tissues to harmful bacteria. Without preventive treatments in the early stages, the disease can progress to late stages, leading to a higher risk of adult tooth loss. Why do we you need preventive care? To maintain a healthy smile. True or False: Sore or bleeding gums may be an early warning sign. True or False: A scaling or root planing may help address the problem. True or False: Ozone therapy can fight harmful bacteria. True or False: If you have the disease, you may need regular SPT. True. If you have gingivitis or the early stages of gum disease then you need treatment to reverse the damage and successfully treat or manage the disease. You may notice your gums feel sore, appear red, or bleed when you brush or floss. Persistent bad breath and receding gums are also other warning signs. True. Also known as a deep cleaning, this can help treat the disease in the early stages. Using an ultrasonic scaler, the doctor removes the plague from the crown and exposed roots of your tooth. Once this occurs the pockets at your gum line can close, preventing further symptoms of the disease. True. Ozone therapy can fight harmful bacteria. 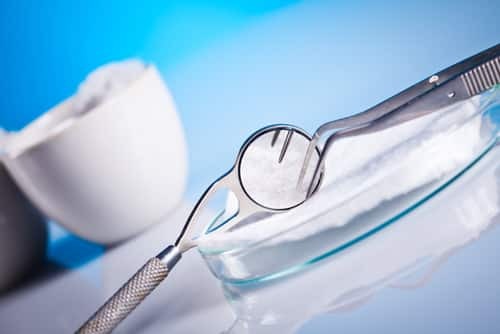 We can use this to address tooth decay, gingivitis, or the early stages of gum disease. True. Patients with the disease need to have their teeth cleaned, but a traditional cleaning may not be enough. However, the periodontist can perform a supportive periodontal maintenance procedure routinely to fight the disease.